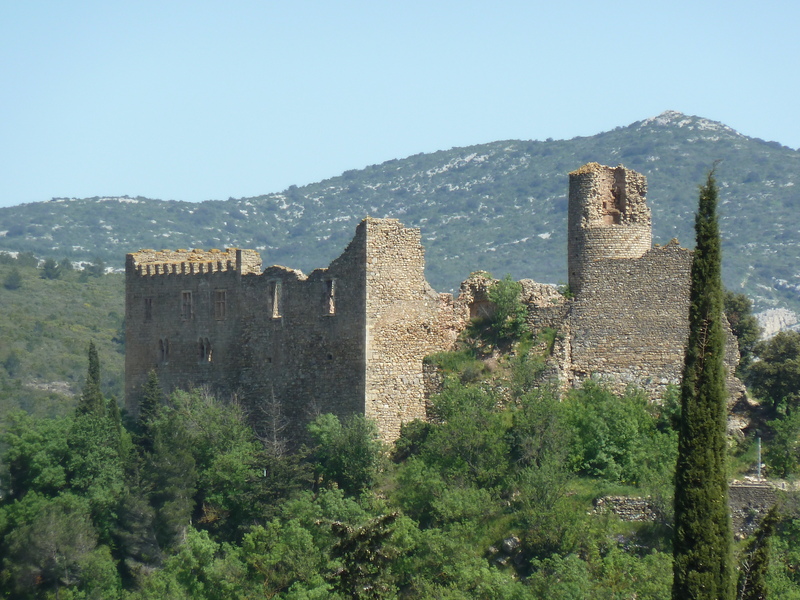 Languedoc lies in the south of France. It’s not as famous as its more illustrious neighbour Provence, but contains just as much scenery, delivers just as much great weather and has at least an equal number of great places to visit. From the medieval city of Carcassonne to the border town of Perpignan and many points in between it’s just waiting to be discovered. Access to Languedoc is easy – a wide range of airports at Perpignan, Montpelier, Toulouse and Beziers welcome flights from many other parts of Europe. Languedoc also boasts a wide ranging motorway network and is of course served by the excellent French railway system. Languedoc scenery varies immensely. From the rugged snowy peaks of the Pyrenees in the south through to the Montagne Noir in the north and via the meandering Canal du Midi to the coast of the Mediterranean there is always something to catch the eye. Accommodation options often involve a stay in a Languedoc villa rental. For example Villa La Cascade on the outskirts of Durban Corbières is a peaceful yet central option. Small pensions and hotels are also viable alternatives as well as some of the more widely known hotel chains in the bigger cities and towns. The benefits of staying in a villa in Languedoc are fairly straightforward. Peace, quiet charm and a feeling of ‘being way from it all’ are amongst the obvious attractions. 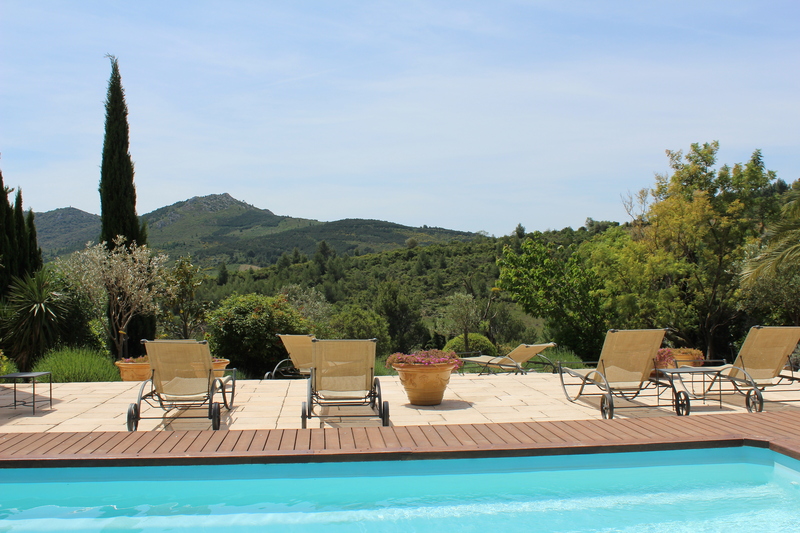 In the case of Villa La Cascade, self catering in Languedoc is made easy. The village is a pretty 5 minute walk and Like most high end Languedoc vacation rentals it is all en-suite accommodation and has a very well equipped kitchen. Food and wine are obvious attractions and Languedoc never fails to deliver on its promise of great ingredients matched by a wide range of wines to suit all palates. The food market in Narbonne for example, features a fabulous range of Languedoc food and wine produced in the main by artisan producers. If you are staying in Languedoc self catering accommodation, there is nothing better than heading to the market in the morning and bringing back a wide range of Languedoc produce to prepare in the villa that evening. Eating out also has its appeal. L ‘Auberge de Vieux Puits is in Fontjoncouse, only a few minutes from Villa La Cascade, and under the watchful eye and gastronomic command of Gilles Goujon, has managed to attain 3 Michelin Stars in recent years. If something simpler is your thing, there are many fine local restaurants within easy reach of this Languedoc villa. Alternatively the aforementioned food market in Narbonne could provide a self catering Languedoc solution. Languedoc is also the world’s biggest vineyard. In the past, wines from the region struggled to gain recognition, probably due to the fact that he bulk of the wines was exactly that – bulk and often pretty grim. Thankfully things have changed and vineyards at Embres et Castlemaure, Mont Tauch and in the area around Boutenac in particular are producing good value reds of considerable depth and finesse at a fraction of the price of say the Rhone whilst not being far off their more famous neighbours in terms of quality. As for things to see and do- well this is Cathar Castle country and these ancient castles dot the landscape like something from an Arthurian legend. They are absolutely magnificent and each is sited surrounded by memorable scenery. Queribus and Peyrepertuse are both close to Durban Corbieres and reward even the most jaded ‘must see’ site visitor with an enduring impression of just how tough life was for the vast majority of those who lived in the Middle Ages. In considering when to visit Languedoc, the hottest months are July and August and it really only gets chilly in January and early February. Even then, the sky is more often than not a beautiful deep Mediterranean blue. Temperatures can hit the late thirties degrees centigrade in summer and are often in the early teens throughout winter. Regardless of when you visit, the choice of things to see is immense, the landscape magnificent and the food and drink more often than not of a very high standard. This is not Provence, but then again Languedoc never claimed to be anything other than a true to life example of the genuine South of France.